You couldn’t expect anyone else to share your suffering. You had to carry your pain alone. I could give you one hundred reasons to watch The 100 series, and I could also give you so many reasons to read anything else but The 100 – the book. ‘But the book is always better than the movie,’ you’ll say. The book is better than the movie in most cases, it’s true, but not in this case. The third season has started, and I look forward to each episode. I found out about it by chance, and it caught me from the first episode. I found myself at the end of season one in no time, and I tried, I really tried to watch only one episode at a time in order to delay the end as much as possible. Season three wasn’t released at that time. I failed, obviously. This series is like a bag of chips, once you open the bag, you can’t stop until you eat the last chip. I wrote more than 150 words, and I said nothing about the movie/book. Forgive me, but I’m not going to say (write) much. One hundred juveniles convicted of minor offenses (which on the ship – yes, there is a spaceship! – could be punishable by death) are sent to Earth to test whether it is habitable or not. From here, believe me, you’re caught. They must get to Mount Weather for supplies, but along the way, they face several obstacles. In the next season, the 100 won’t be 100 anymore. We’ll also meet the Grounders, the Mountain Men and other clans that were living on Earth now. That was the thing about secrets-you had to carry them with you forever, no matter what the cost. And this is it. I say no more. Many of you have seen the movie, I know, but others are discovering it only now. Season three is at its last episodes, and I’m waiting breathlessly every one of them. I had seen the first two seasons when I came into possession of the book that the movie is based on. I had read a few reviews already and I didn’t expect much. The book (by Kass Morgan) is well below the TV series. In fact, the only plus of the book is the idea, the fact that it was written on paper to be later turned into this wonderful movie. 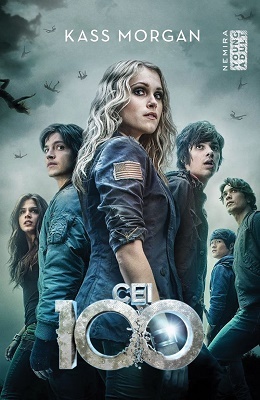 The 100, the TV series, is a phenomenon. And this is not just a story about 100 children sent to Earth, but also about the landscapes, the music, the characters (in the movie there are many other characters that you won’t find in the book), even the decisions that are made. The book was like Jack’s bean, it turned into a giant beanstalk and invited us to climb up to that wonderful world. This was an attempt of a negative book recommendation. Not all movies are better than their books, but there are the exceptions. 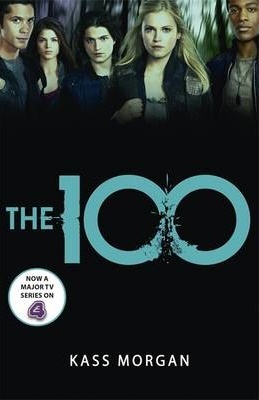 The 100 is the exception, but any fan of the series should have the book. It all started with it. And, if not for the idea, then you should have it for the cover.